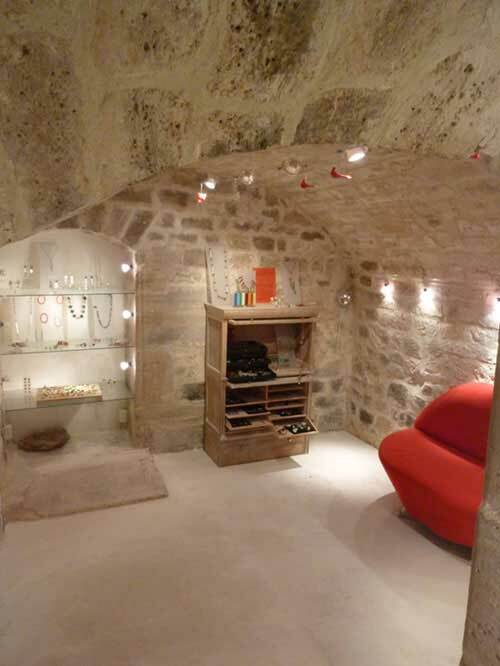 Since the creation of my company in October 2007, I have been displaying my jewels in my parents’ beautiful gallery in Paris, 24 rue du Bac. 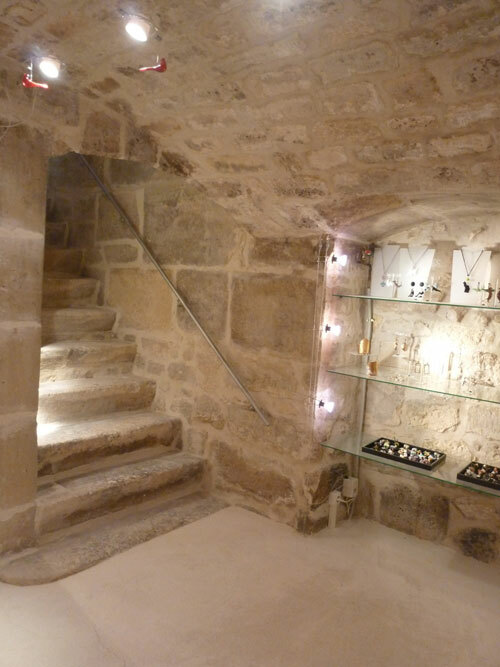 Apart from a corner on the ground floor, I now occupy the charming basement of the gallery. 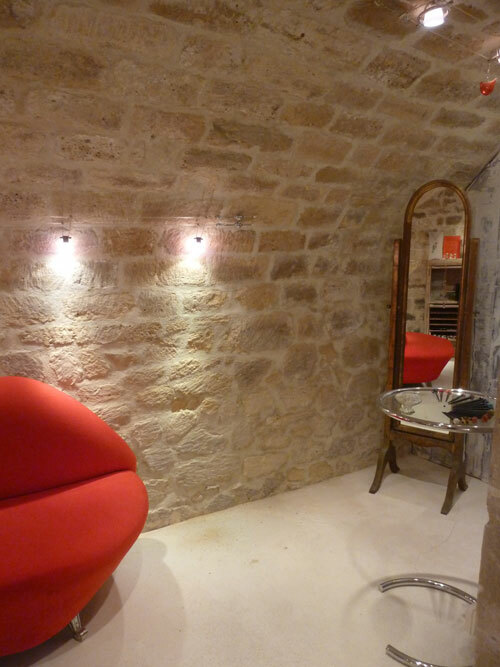 This is a typical cellar of St Germain district: thick stonewalls and a vaulted ceiling. Come in summer when it is deliciously cool !